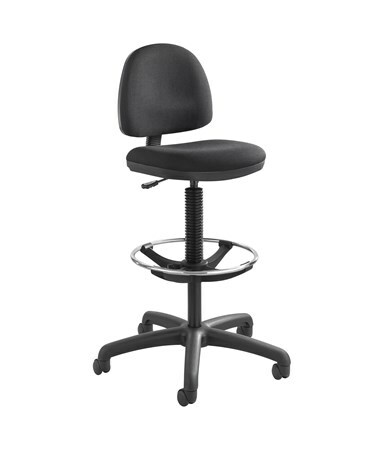 Extendable height of 23" to 33"
The Safco Precision Drafting Chair with Footring is a practical and pleasant-looking chair that adjusts to a variety of positions for a comfortable use. It is tough enough to hold up to 250 pounds of weight. 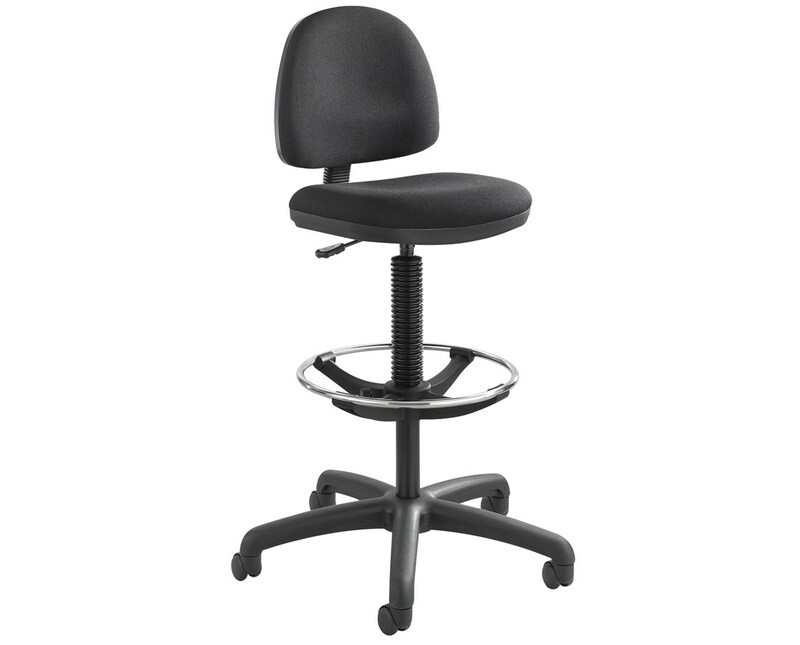 It features a backrest with a height that adjusts in a 2-inch range and a seat with an adjustable depth and swivels to a full 360 degrees. 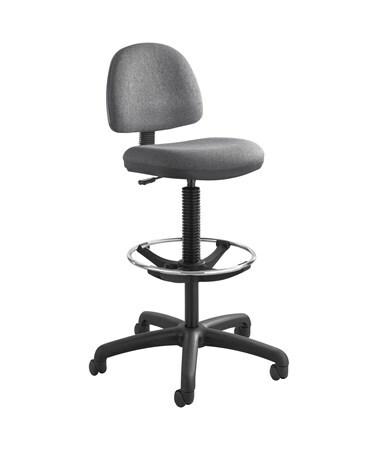 Using a pneumatic control lever, the seat’s height extends from 23 to 33 inches. Also included is an adjustable footring to rest the feet for leg comfort. 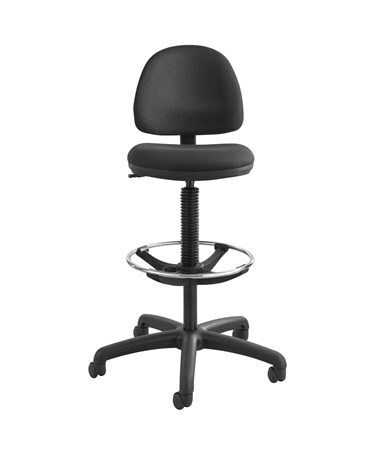 The chair’s five-star base has two-inch dual wheel hooded carpet caster for smooth mobility. 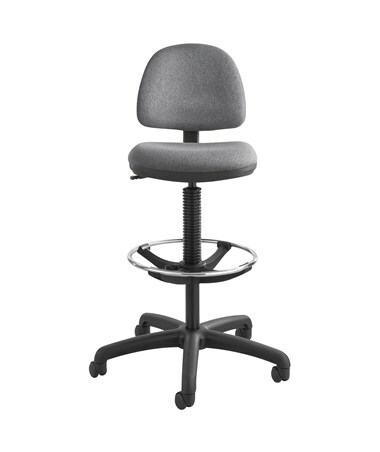 This chair is made of nylon with molded foam seat and back cushions. The footring is made of steel with a chrome finish. This unit is GREENGUARD certified for low chemical emissions and meets the ANSI/BIFMA safety standards. 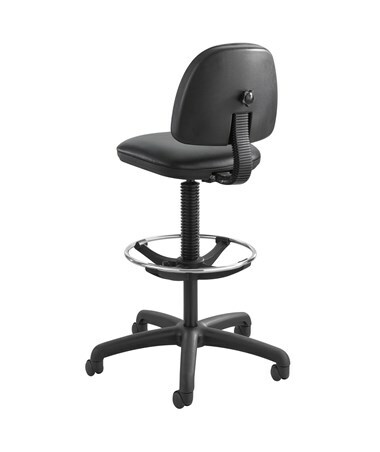 The Safco Precision Drafting Chair with Footring is available in different colors. Please select your preference from the drop-down menu above.